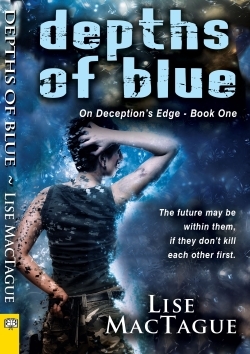 My latest Strange Flesh Press post is all about Lise MacTague's delightful lesbian sci-fi romance DEPTHS OF BLUE. I provided many a tag so you can learn more about the first installment of the author's On Deception's Edge trilogy. Happy reading!